What you need to take into consideration is that Internet poker sites were not a new thing that just popped up in 2003. In fact, they had been running for about five years prior to the Internet poker boom. The first major website that allowed for Internet poker was Poker Planet. After that, Paradise Poker was the second major website that was launched. 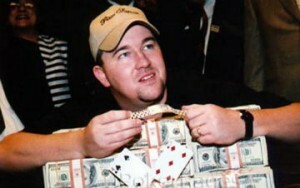 Chris Moneymaker played a major part in increasing the popularity of poker. What Chris did was he won the WSOP, and he was known for playing at poker sites online, so when he told about it, there were millions of people who went to play at online sites. It has also helped that many of the key poker players have accepted and even endorsed Internet poker. Major players include: Chris “Jesus” Ferguson, Phil Ivey, Phil Gordon and Andy Bloch. Another thing that increased the popularity of poker, is that Hollywood became interested in the game during this time, so they put the game into a lot of their movies. You can probably remember a few movies where poker was played. This definitely helped to increase its mainstream popularity, and when people became interested in poker, they went to Internet websites where it was easily accessible. At the WSOP, one of the event was playing Internet poker, and it was televised on ESPN to mainstream America so the game was introduced to millions of Americans. The Internet poker boom helped to make poker a more mainstream game. After the poker boom, there was a new appreciation for the game. Poker is a game that combines a little luck, with a lot of strategy and calculation.